Man: We store data in the cloud using a triply redundant system. Woman: But they all say Amazon cloud! Man: Not a problem! 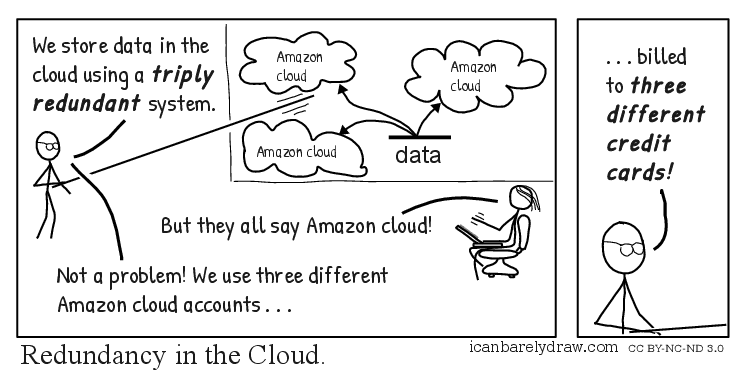 We use three different Amazon cloud accounts . . .
Man: . . . billed to three different credit cards! Title: Redundancy in the Cloud.